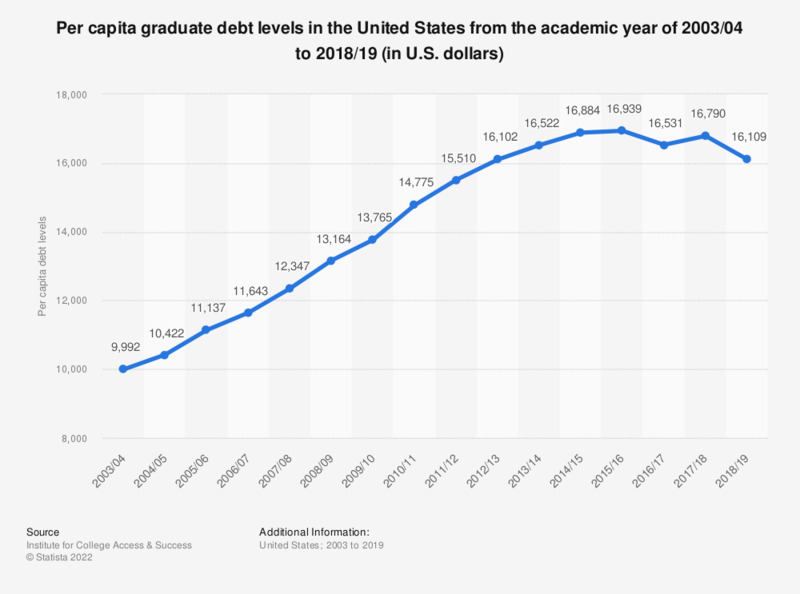 This statistic shows the amount of debt that university graduates had per capita in the United States from the 2003/04 academic year to 2016/17. In 2016/17, the per capita debt that graduates had stood at 16,531 U.S. dollars. The per capita student debt equals the percent of graduates borrowing any student loans multiplied by the average cumulative student loan amount borrowed.